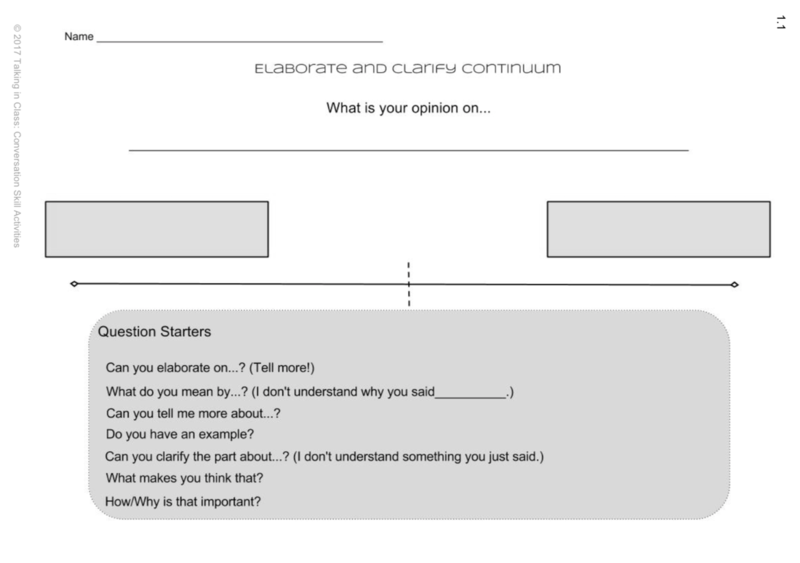 Over the past several years, we have worked with a team of teachers to develop supplemental classroom activities based upon this and related research and the "Five Core Skills for Academic Conversation" developed by Jeff Zwiers and Marie Crawford (2011). We used the data gathered from the project team to develop an interactive book, which will be of use to any educators who are interested in enhancing their curricula with student dialogue. These activities are companions to the eBook Talking in Class: Increasing the quality and quantity of student to student dialogue in the classroom and can be implemented in a range of content areas and grade levels. The free eBook will provide both foundational understanding and support for use. How do you feel about this country's immigration laws? Which of these two ways, slope-intercept or point-slope, do you prefer to graph? 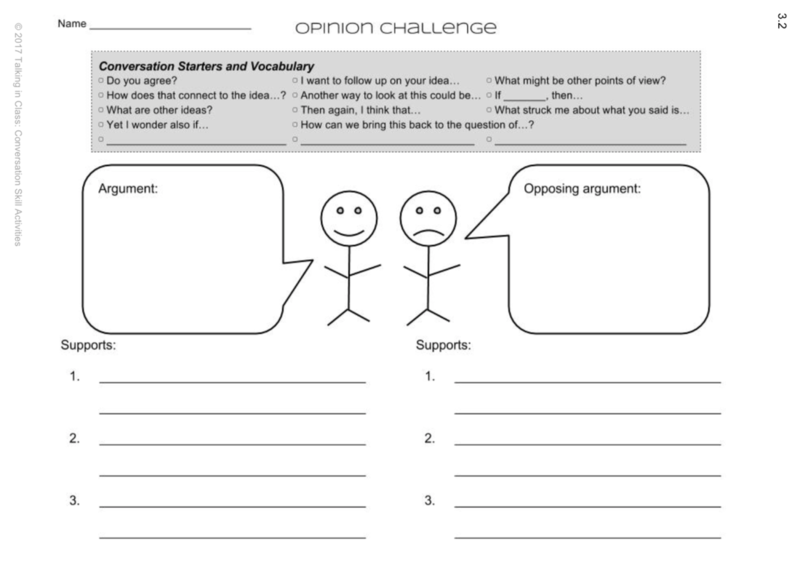 In this activity, students interview classmates in order to identify three examples of a concept: one from the course, one from school (another subject), and one from the real world. This may involve students speaking with more than three of their peers as they seek the best examples! An alternative to individual presentations to the entire group. 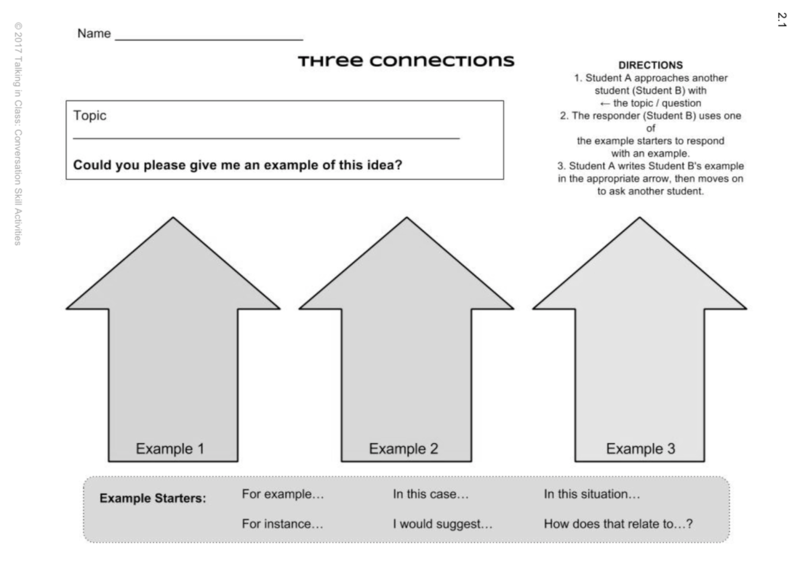 In a situation where students have prepared individual presentations, they are put into pairs and each student presents to his/her partner (using whatever visuals or supports are desired). The partner is able to ask questions and solicit clarification, verbally working through the paraphrase to follow. 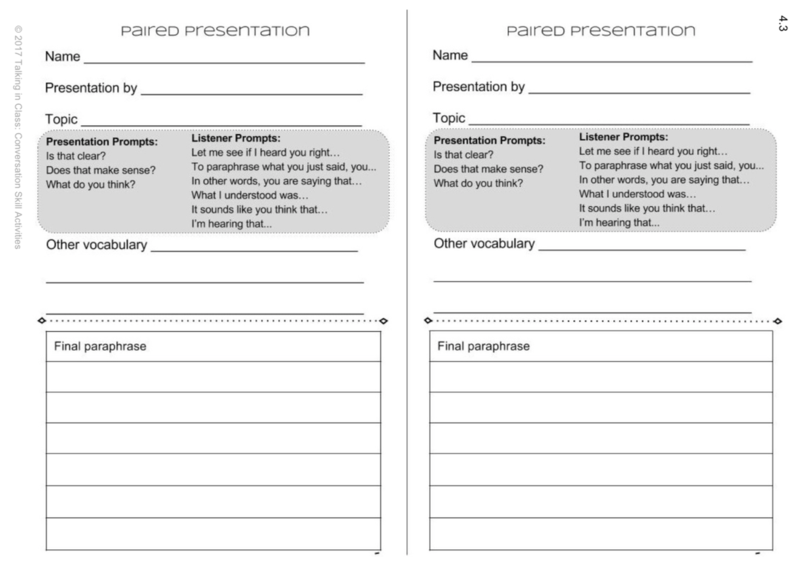 When the “presentation” time has ended, students should record a paraphrase of the presentation on their sheets, then switch roles to present their own projects or become the paraphraser. 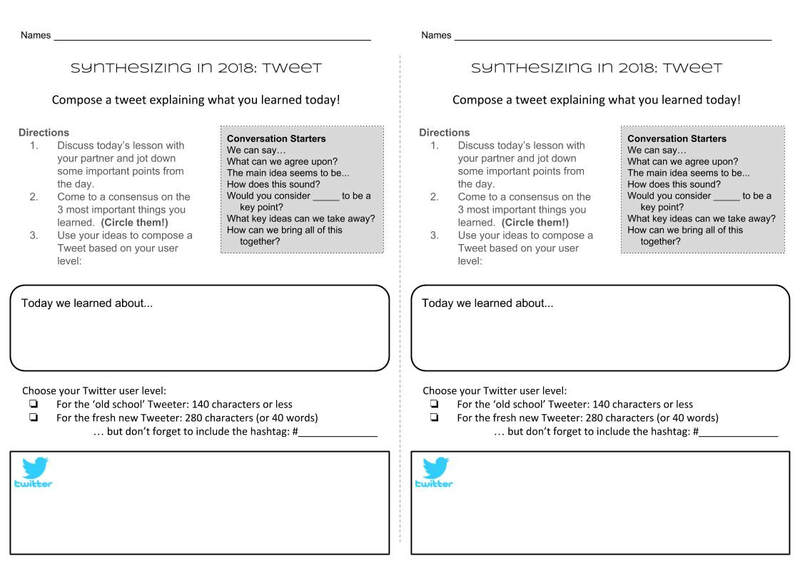 At the end of a lesson, students work in pairs to bring together the key takeaway knowledge from the day. After discussing the lesson and identifying the important points, they must record the top three “lessons” from that day’s class. Often used as an exit-slip for leaving the classroom. ​We have a library of additional resources (including productive behavior checklists, classroom protocols, and a wide variety of activities) not currently available on our website. If you are interested in learning more, please contact Jake and Brianna.